This is not my first post espousing my K75 . 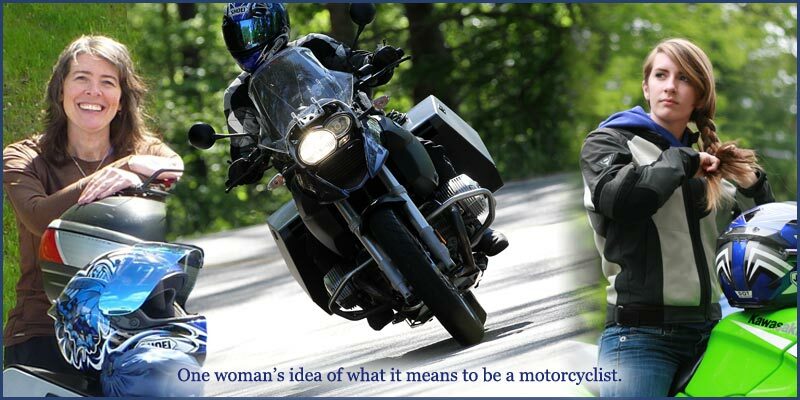 We first met when my motorcycle endorsement was but 3 days old. I dropped it the first time I tried to take it off the center stand. And to this day it still has asymmetric mirrors, because I was too embarrassed to admit I did not know the difference between a high and low one. 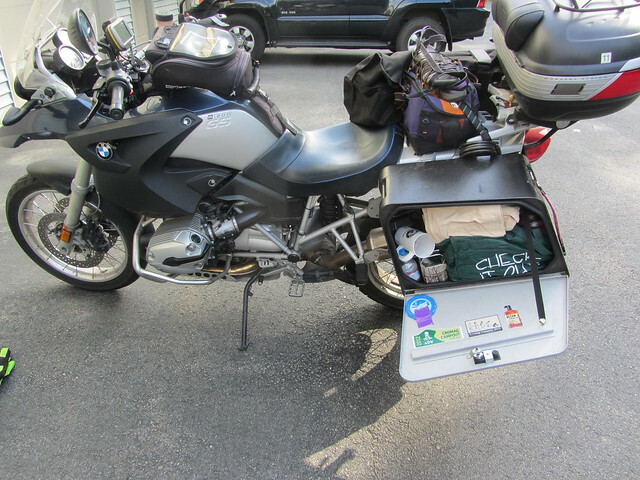 It is, of course, the bike we took on The Trip. This reason alone justifies my never wanting to sell it. 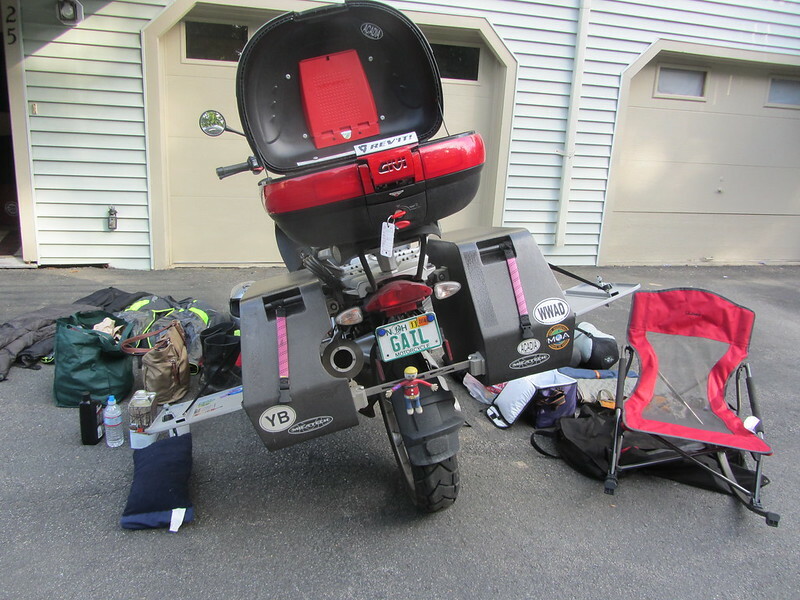 And this leads into why I have $1,000 dollars in parts on order for a bike that could, at best, fetch $2,000. It is my most illogical investment. But it would break my heart to part with it. So when my trusted mechanic called with the sad news that the splines on both the final drive and drive shaft where shot, and while we're at it, we ought to replace the alternator. I glanced briefly at the savings account, took a deep breath, and said "let's do this thing". 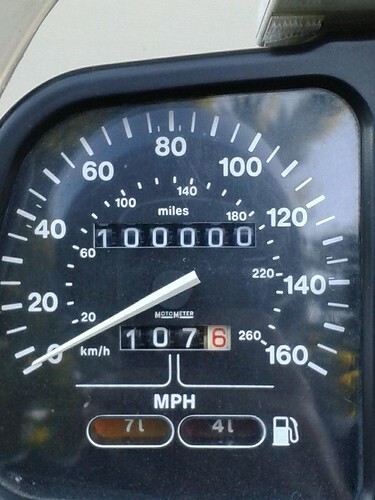 100,000 miles, the bike owed me nothing, but carries everything. It's only money. In a few years I'll never remember where those dollars went. 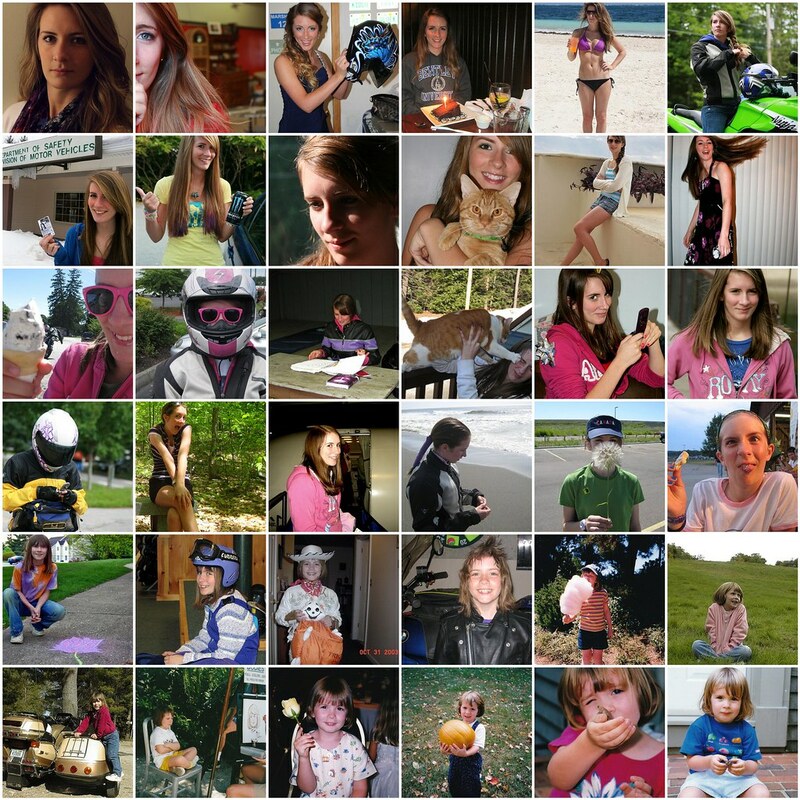 But I'd be terribly lost if I failed to invest in my 68 hp memory album. 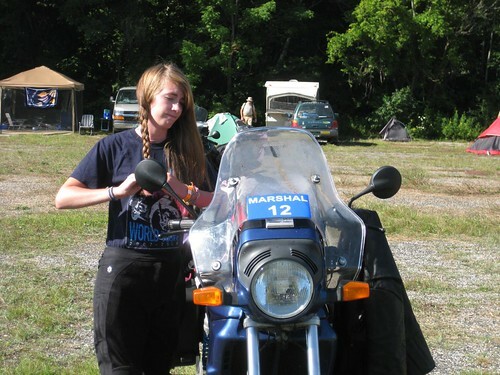 I want to put more memories, more sMiles on the K.
As I unpacked from a long weekend of riding and camping. I took the time to take a picture of everything. 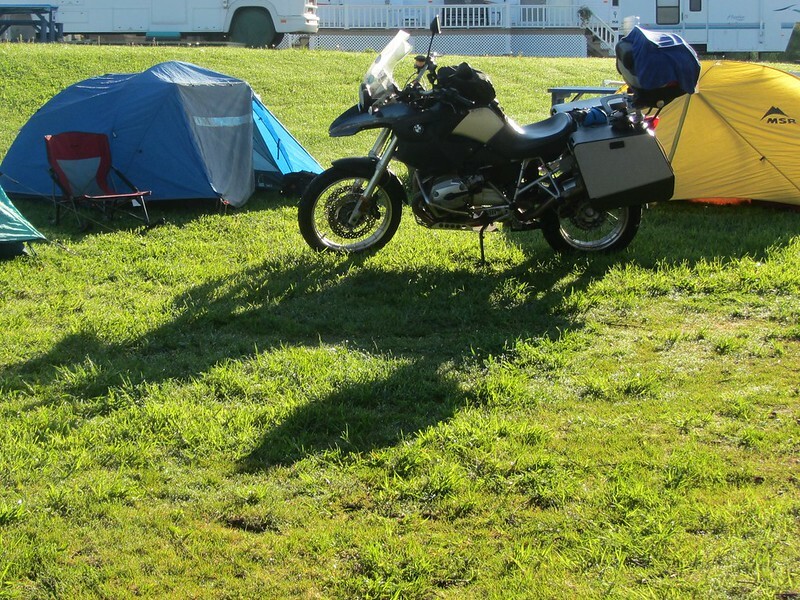 It took me years to get to this camping configuration. I feel I finally have the right bike for it. 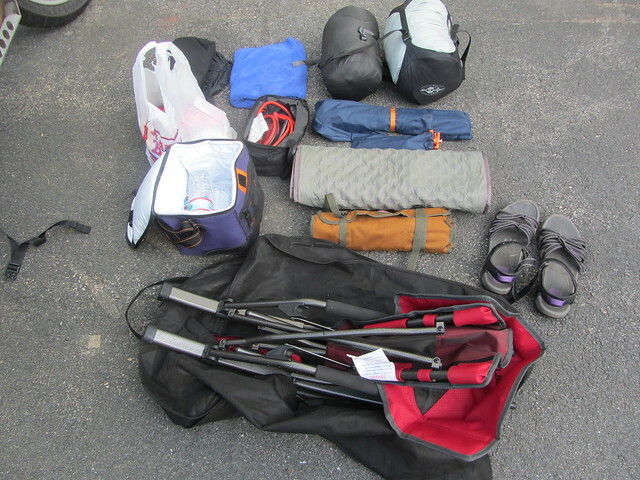 I don't cook when I camp, so there is no cooking gear in this mix. 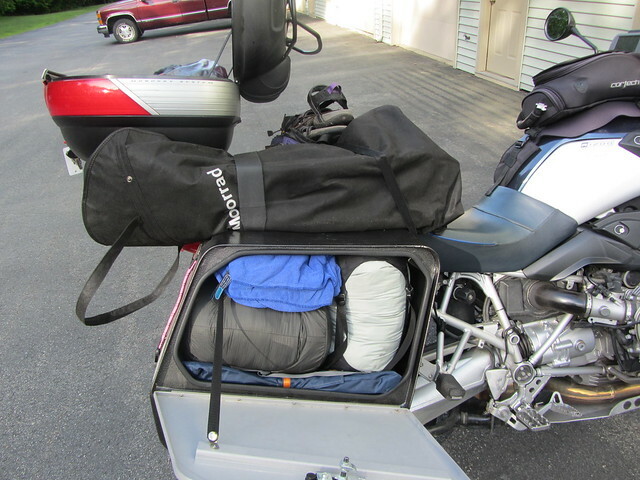 Strapped to the outside of the bike are my LL Bean rocker Camp chair , a collapsible cooler with water and Teva sandals.In the right bag: sleeping bag, tent, poles, mattress pad, tool roll, jumper cables,towel, snacks, and rain pants. 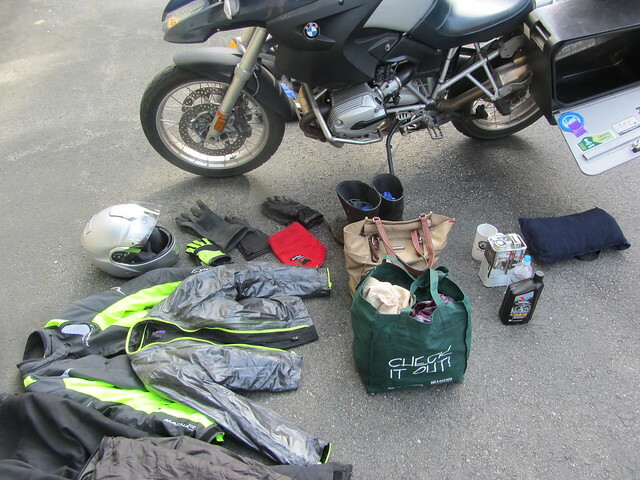 In the left bag are clothes, camp pillow, quart oil, half gallon of maple syrup (optional), mug, water, and the liner to my riding pants. The top box hold my jacket liner, purse, 3 pairs of gloves, wind triangle, and misc little things. It pays to load thing methodically, stuff always goes in the same place so I know where to find it or if I've forgotten it. All this goes in or on the bike. 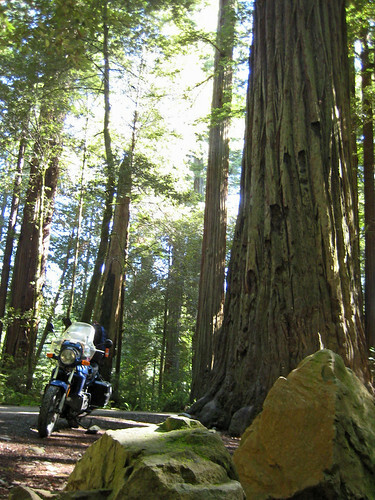 So You Think You Know Adventure Riding?